A shareholder at Berger Kahn, Stephan S. Cohn’s practice is concentrated in the areas of insurance, business, real estate and community association law. He routinely litigates business torts, real estate issues, environmental-toxic torts and insurance matters. In addition, he regularly counsels insurers regarding fair claim practices and claim investigations, and directors and officers in the enforcement of governing documents and other day-to-day operational matters. Steve has represented insurers, directors and officers of corporations, and homeowners associations in a wide range of issues. In the insurance context, he has been involved in claims arising from homeowners’, commercial and automobile insurance policies. Further, he has advised insurers regarding the handling of suspect claims, including fraud. He also routinely handles cases involving environmental pollution and water intrusion issues. Steve has significant experience litigating third-party and general liability claims and first-party bad faith matters, and has taken and defended hundreds of depositions, including high-level insurance executives and bad faith experts. 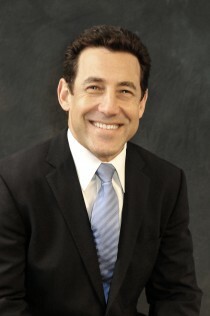 His expertise has garnered Steve recognition to the list of 2016-present Best Lawyers in America, in addition to the 2013-present Southern California Super Lawyers, honors reserved for the top 3-5% of the Bar. • Managing all aspects of case preparation for trial, including arbitration. Steve has lectured to business and insurance groups on topics such as directors’ and officers’ liability, good faith claims handling and torts, and has been a course instructor on Evidence for the University of California at Irvine Extension Program, Course Instructor at University of California Irvine. He lives with his wife and two children in Laguna Beach. In the effort to support the community, Berger Kahn has been able to give in-kind donations to nonprofit partners who make our community strong.